With CES finally over all eyes are now on MWC due to be held in Barcelona this March. Flagships from several manufacturers such as Samsung, HTC, Sony and more are still pending for this year, and new information from sources close to Samsung claim to have word about the Samsung Galaxy S6’s release this year. According to sources familiar with Samsung, the Korean manufacturer will be launching its Galaxy S6 flagship two months from now at the Mobile World Congress which will be held in Barcelona. The Samsung Galaxy S6 will be coming in two variants in March. The first of these will be made of metal something which Samsung started using in its devices with the launch of the Samsung Galaxy Alpha series last year. In fact, the sources claim that the Samsung Galaxy Alpha was launched as a market test by Samsung for metal clad devices. And by the looks of things so far, the company will be following suit with the launch of the Galaxy S6. 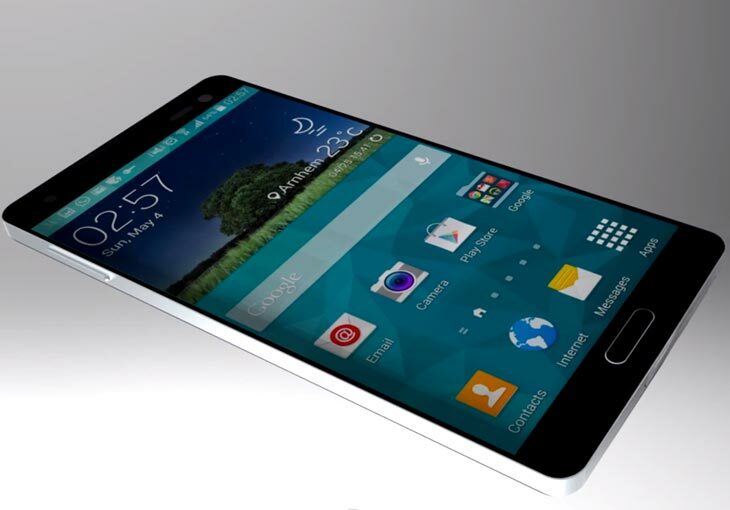 The second variant of the Samsung Galaxy S6 seeing a MWC launch will the famed Galaxy S6 Edge, with a curved screen similar to the one on the Galaxy Note Edge also launched last year. The curved screen on the Galaxy Note Edge also served a similar testing purpose by the Korean manufacturer to gauge market reaction for curved screen devices. The source also mentions a little bit about a new round smart watch from Samsung follow the release of its Gear line of smart watches last year. There’s still no word on when the Samsung Galaxy S6 will become officially available for purchase, which is even the more important considering the fact that Qualcomm’s been facing repeated delays with the Snapdragon 810. Nevertheless, stay tuned folks, we’l keep you updated.